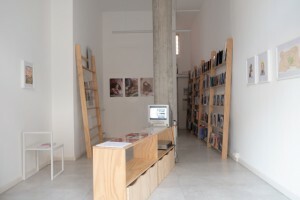 Home › News › The Feminist Library exhibits in Milan! The Feminist Library exhibits in Milan! Last year the Feminist Library was contacted by a group in Milan, Saul Marcadent, Anna Carniel, and Eleonora Corbanese, who were organising an exhibition at the Reading Room, exploring how contemporary magazines deal with identity and gender issues. They asked us to participate with items from our collection. Our artist in residence Minna Haukka curated a selection of items, including zines and reproductions of periodicals for us to show. 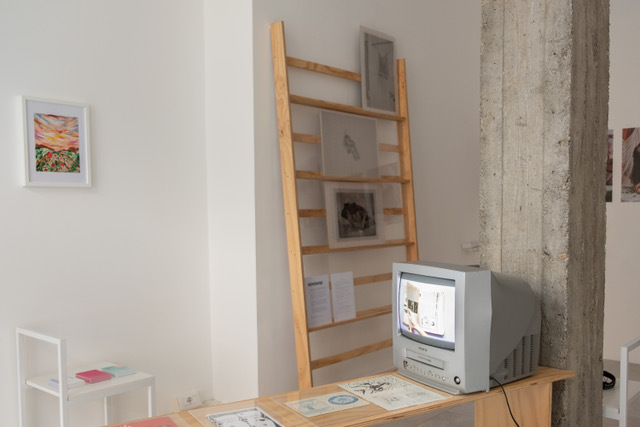 The resulting exhibition ‘Touching with the eyes’ ran from January 10th – 19th and was made in collaboration with several other organisations – Another Gaze, AZEEMA, Frute, Hotdog, NEWSPAPER with the participation of Gio Black Peter. s. All of them were conceived by their founders as manifestos of individuality, the result of an expressive urgency, as well as they are able to build communities, establishing an empathetic relationship with their readers.